We print one color by manual letterpress machine. Cats and frogs brought luck. it is a retro printing method, it is one card in the world where finish is different every one sheet. 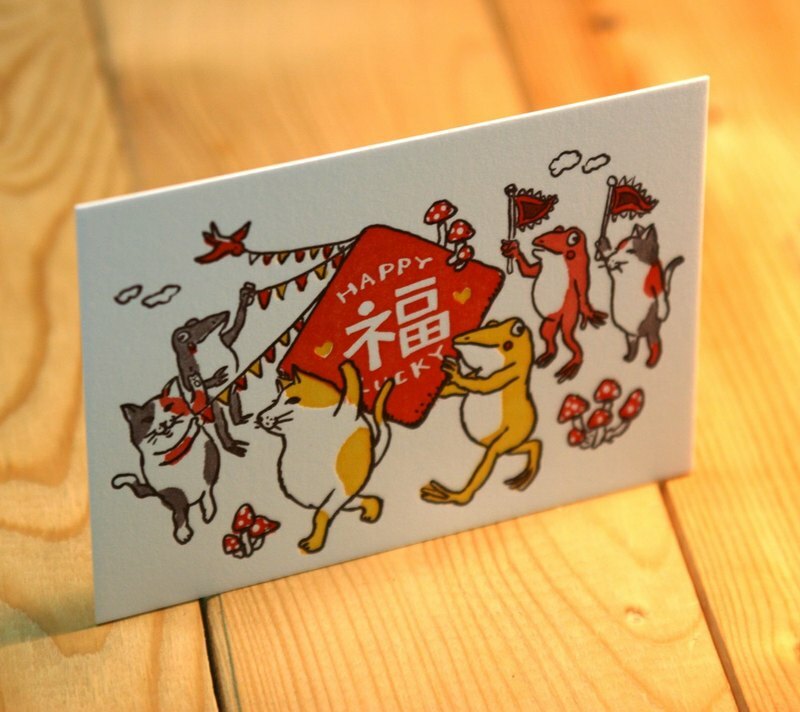 INCLUDES: 1 Card and 1 Envelope CARD SIZE: 15 x 10cm CARD STOCK: Letterpress printed SOURCE: Printed in Japan This product is handmade, and so may not look exactly the same as the photo.